Who will be winning the Nike & Adidas IP battle ? 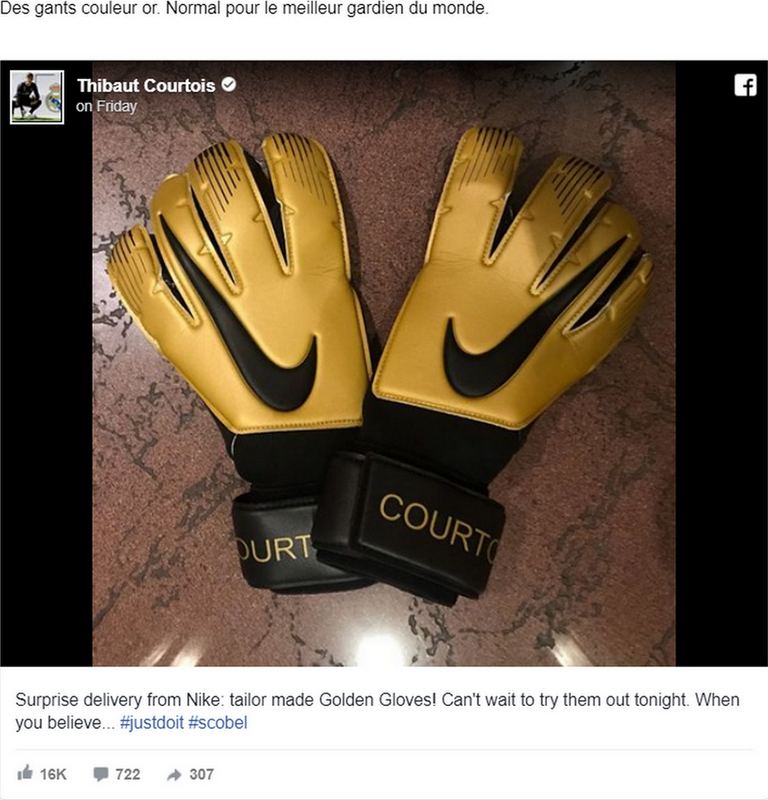 Last week the Belgian goalkeeper Thibaut Courtois posted this image of his brand new golden football gloves. It was a tailor made surprise delivery from Nike for the world’s best goalkeeper. It includes a series of innovations, such as the so-called patented ‘Grip3 Technology’. Nike is of course very grateful for this kind of social media visibility, especially since there’s an IP battle going on among sports clothing manufacturers. We used this opportunity to dig a bit deeper in Nike’s patents and its closest competitor Adidas. Nike has a huge patent portfolio, including more than 10.000 of patents, which are mainly covering the United States (more than 5800 patents and patent applications) and to a less extend also Europe with about 600 patents covering Germany, France, and United Kingdom. Canada and China are covered similarly with about 1500 patents and patents applications. Short research shows that most of the patents are filed for innovation around shoes and footwear, even if the connected articles and articles including sensors are also becoming more and more important. The filing rate is highly accelerated over the last years. 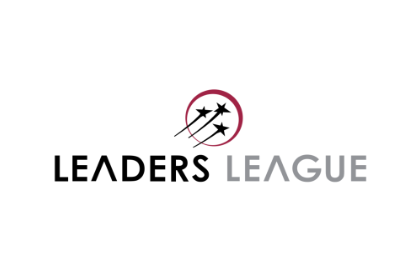 This seems to be quite aligned with the increasing revenues in the footwear sector, where Nike is the market leader with a total of 19,8 billion US dollar in 2016. About 4 billion dollars was generated in Western Europe and about 2.5 billion dollars coming from emerging markets such as Brazil and Mexico. About half of the revenues in the footwear sector is coming from the United States. Compared to its closest competitors Nike is still by far the biggest player in the market. But especially Adidas seems to take the effort to develop a proper patent strategy. Adidas’ patent filing is quite stable, even if the last years show a higher median number of about 70 patent applications filed each year. In terms of territorial protection, adidas is filing mainly in the United States. About 25% is also covering China and Germany, but only less than 10% is extended to Canada, France and the United Kingdom. 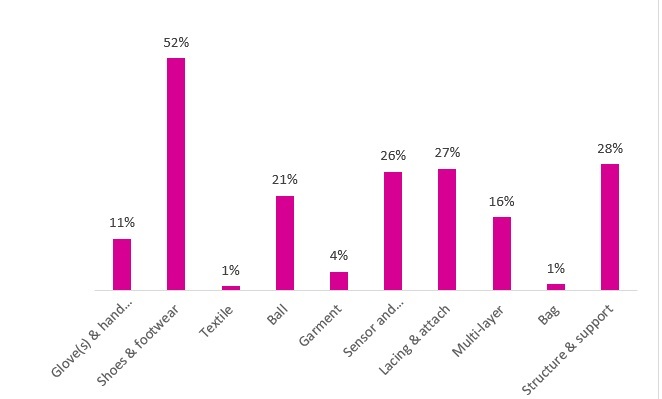 While footwear and shoes articles take the largest portion of the patent portfolio of Adidas, the R&D trends seems to be more balanced between different sectors with quite a respectful part in sensors and connected articles. In the footwear and shoes articles, the filing rate in terms of patent protection has also increased over the last year. The number of design filings in footwear and shoes articles has also drastically increased over the last years. 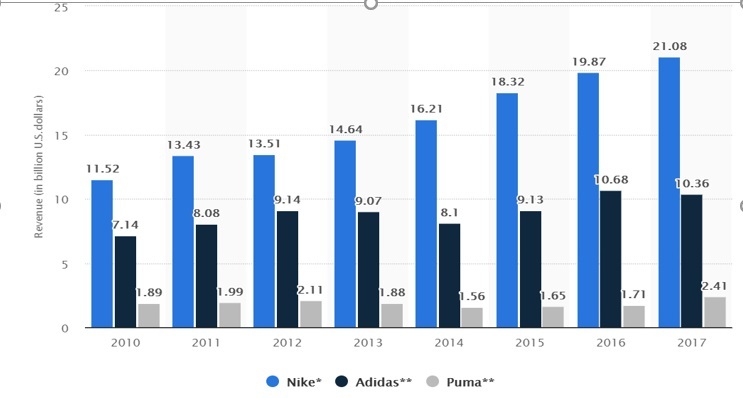 Those data reflect a clear signal of new trends in Adidas’ R&D strategy. In the future, Nike’s main competitor will be focusing more on the design of the footwear in its patent strategy, instead of mainly on the technology inside. Meanwhile, it’s also putting a bet on the sensors and connected items area. That is something Nike should closely monitor in order to stay ahead. 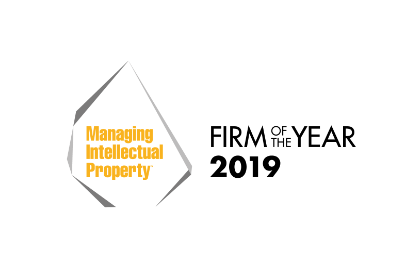 Keeping a close eye on your main competitors’ actions and strategies is highly important when developing your IP strategy, but this is certainly not enough. 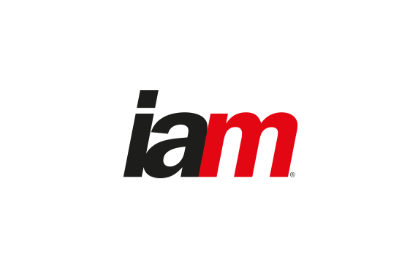 Another critical aspect is to align your IP strategy with your current and future business challenges, taking into account your competitors’ behaviors. IP is a bridge between today and tomorrow. Building today your IP assets for the future, is wherefore our high-level experts dedicate themselves. Previous PostLionel Messi’s trouble to protect his name as a trademark – why you should register your trademark even if it is your own nameNext PostThe EU Copyright Reform: A great sign for the creative industries in Europe and/or a catastrophic day for the internet ?